I bet there are tons of people out there who already know all this stuff but I don’t, well, I didn’t. When I was prego with #2, before we found out the gender, I went hair bow crazy. I made TONS of them, in EVERY color you could imagine. “It’s a boy!” they said. So I packed all my hair bows and supplies and put them in a box to be retrieved when there would be a little more pink floating around the family (as to date no girl between me or my sibs). I waited a year and no girl from anyone. BUT my BFF since I was a wee lass, the gal whose house I practically lived at on the weekends, one of my most very favorite people in the world, found out she was having a girl. Also my cousin was going to wait to find out the gender and I was praying for a girl (it was). So I pulled my ribbon and got to work . So here’s how I made the bows. Well, this is one way I learned how to do it. It depends on what you want and what size ribbon you have. I wanted small and simple. **I cut and sealed my ribbon them using a wood burning tool/soldering iron to seal the edges and prevent fraying. You can also just use scissors and heat the edges using a lighter or candle. Take your 12 inches of ribbon and fold it in half. 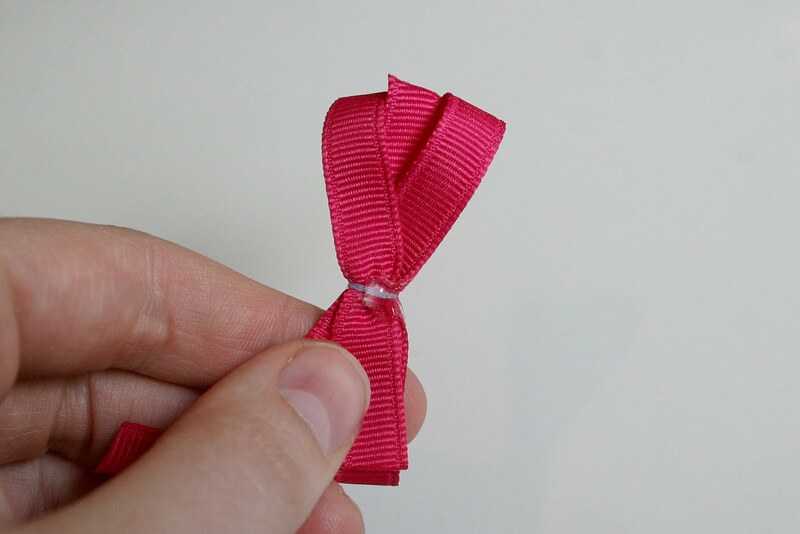 Take one end of the ribbon and fold it onto the first crease, leaving the one inch tail. 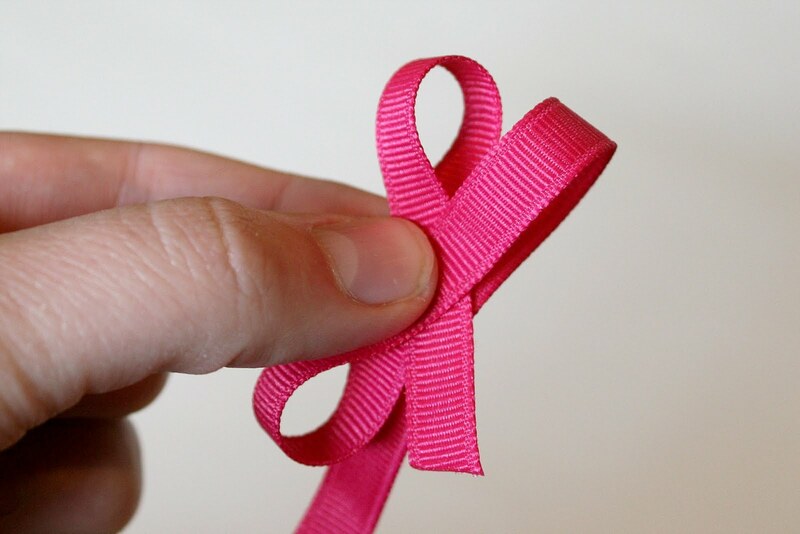 Take the other side of the ribbon and loop it. Lay the second crease on top of the point where the the first crease and tail begin. Bring the long end of the ribbon up over the top of the rest of the bow. Now that your bow is done, take your needle and thread and pierce the center from the bottom to the top. Wrap the tread around the center of the bow twice and pull. Tie at the back. Now to cover all that thread. Take your 2.5 inch of ribbon and fold it in half. Fold one end over the other, making a knot. Tighten. You can use either a loose knot or tight, depends on what you prefer. I used a tight knot. The flat end of the knot is going to lay on the bow. Take a SMALL drop of hot glue on top of the bow, over the threaded center. Flip bow over and glue the rest of the knot piece down. 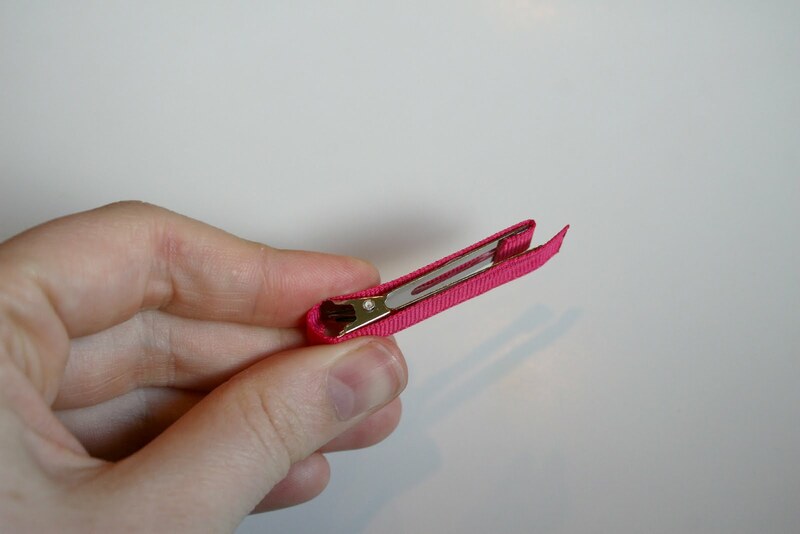 Place a bit thin line of hot glue on the bottom edge of the clip. *** For this particular clip I placed the ribbon close to the bottom edge but I have since started gluing it all the way to the center inside of the clip, it grips better. Flip clip over and glue down ribbon. DON’T USE TOO MUCH GLUE or glue will seep out the edges and not look so good. 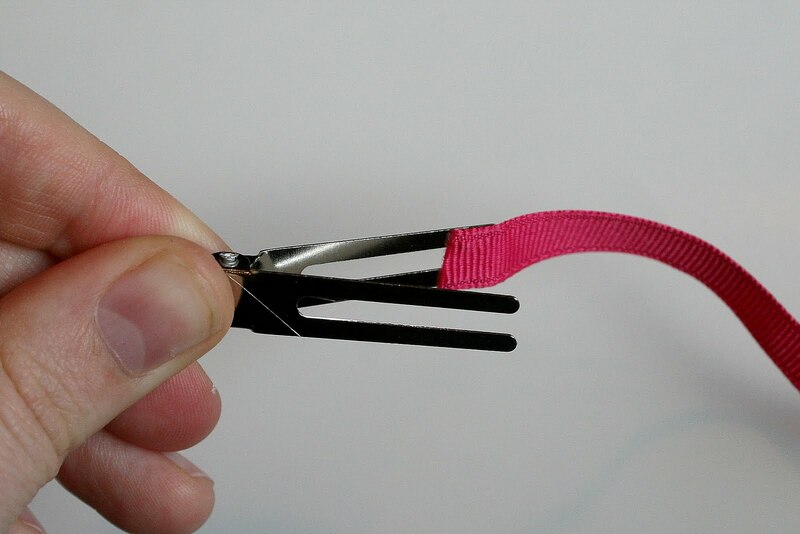 Now cover the rest of the clip with the remaining ribbon. 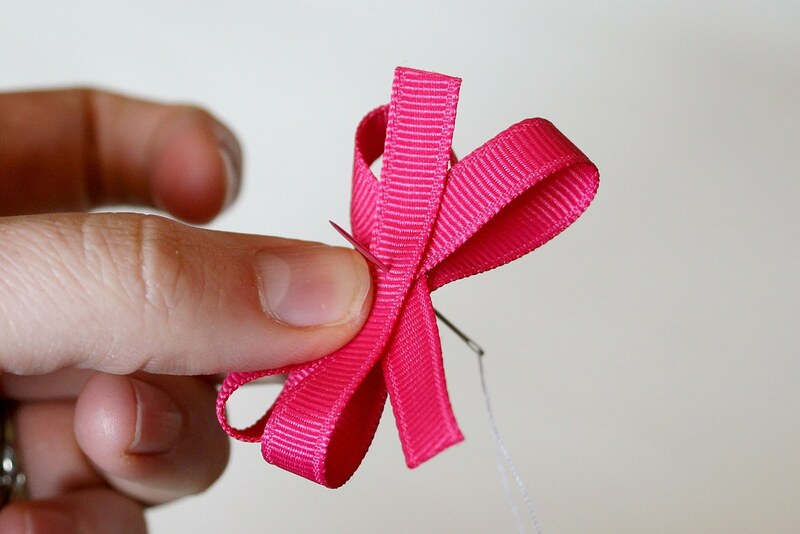 Once your clip is lined, use a small line of glue to attach the bow to the center of the lined clip. I went a little bow crazy! This is the basic method for making a boutique bow. Traditional ones use 1 1/2 inch ribbon instead of the 3/8 ribbon I used. Also you can used two different ribbons on top of each other to create a two tone effect. So precious and darling! Just noticed your etsy shop, will have to take a look when I have a moment! I've got a girl that needs more hairbows. Thank you!. I found you at the penny pinching party. Cute clips and great tutorial! Following you now from Trendy Treehouse blog hop! That's awesome! I've never attempted these either, but your clear instructions make it look do-able. Thanks! Wow, this is a wonderful tutorial! I have two little girls (after one son) and LOVE "decorating their heads" as I call it. This would be a great skill for me to have- to date, I've just paid a lovely lady on Etsy to do it for me. 🙂 Great photos! You do make this look easy! They are adorable…thanks for linking this up! Thanks for sharing and linking up to I'm Lovin' It! Have a GREAT weekend! Great tutorial!! I will have to try this! I have a three year old infatuated with bows!! Where did you buy the alligator clips though??? My poor little girl needs a mom who makes hair bows!! I need to learn from you! Thanks for the tutorial, now maybe I can be better!!! I love those hair bows! Thanks for sharing this. Now, I know what should I give to my friend's baby shower next week. awesome, i tried last night but gonna try again until i get it. thanks! !